I hated even just writing those words. Any freelancer will tell you, losing a gig really bites. If it hasn’t happened to you, sorry to say but it’s coming. Whether it’s a client you truly loved working with or your most steady source of income, it can be undeniably defeating when it happens. Seeing as this unhappy event has happened to many-a-freelancer before you. Have no fear, I have you covered. Keep reading to understand why clients leave, what you can take away from it, and how to best deal with an already lousy situation. While it’s no secret that losing a client stinks, there are a lot of reasons it can happen to you. Understanding the “why” can be extremely helpful in helping to deal with this unfortunate situation. A large portion of freelance work is often on an irregular or one-off basis. A one-time client may seem like a cut-and-dried kind of deal. Once the job is done, both you and the client move on. However, when you work on a “one-off,” the hope is that you’ve wowed that client enough to keep you in mind for further projects. Sometimes that happens, and other times it doesn’t. With these types of clients, you may not even know you’ve lost their business for some time, as the work may be irregular. It could be the fourth email in six months that’s gone unanswered or the dreaded “we’re going another direction” response, but eventually, it becomes clear, the client no longer requires your services. It can be disheartening when a job disappears because the client’s budget dries up. This happens more frequently with longer-term projects. Often, this is due to the client initially underestimating the amount of work they needed. Other times, it’s simply poor planning. Additionally, some businesses may reevaluate their budgets and financial situations throughout their fiscal year, which can lead to a decrease in funds allocated to your project. This one stings. It takes a lot of courage to decide to raise your rates. However, when you do so, you run the risk that the client may balk at the new number and end their contract with you. While a scary prospect, it’s something all growing freelancers contend with. 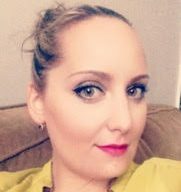 When a client severs ties over your work product, it can be devastating. Losing a job over your performance can be not only a massive blow to your ego but can be the toughest to deal with, at least on an emotional level. Losing a client over your work doesn’t mean you’re a terrible writer. Sometimes you and the client have a disconnect on the overall vision of the project. Other times, clients may reevaluate their results and change direction, requiring a different type of writer. If the issue is with the quality your work, be sure to take any feedback into serious consideration. It may be time to brush up on forgotten skills or learn new ones. Remember, if you know better, you do better. Possibly one of the most annoying things a freelancer can experience is when a client “ghosts” them. We’re not talking “the-client-didn’t-pay” kind of disappearing act. In this instance, this a client who’s onboarded you for an extended amount of work and after one or two submissions, they go silent about your next project. With this kind of client-loss, your follow-up emails may go unanswered, leaving you confused and in the wind. Ah, the anchor client. Sometimes referred to as the “white whale” of freelancing, anchor clients are your steady income clients. These clients give you a regular amount of work, month after month. 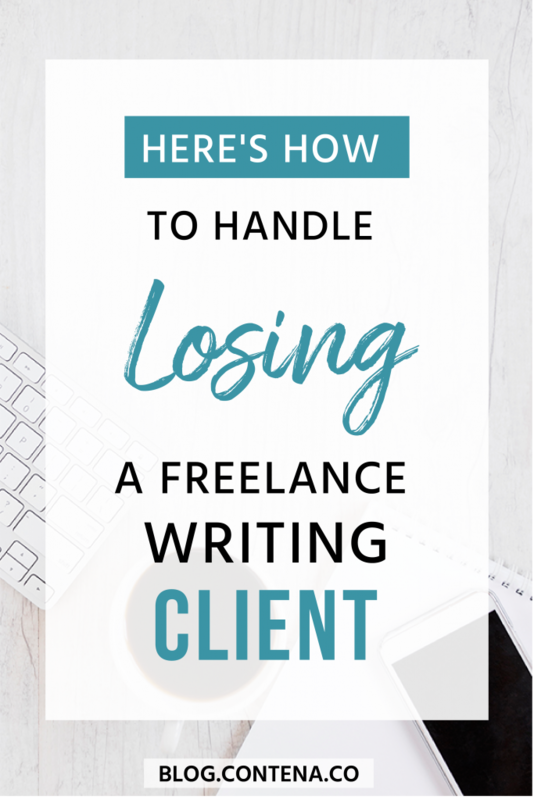 Losing one of these clients can be an exceptionally tough loss for a freelancer. By its very nature, freelancing is an unpredictable field. With an anchor client whom you rely on as a steady source of income, it’s all too easy to become dependent on that client each month. Being solely reliant on the regular work coming your way from an anchor client can leave you in a precarious financial spot if and when that client dissolves the relationship. Occasional clients often make up the bulk of a freelancer’s portfolio. Some may be repeat customers or even the occasional one-off. You may have multiple clients that fit this bill, all with different needs, requiring strong organizational skills. Occasional clients can often be better-paying jobs than even some anchor clients. Losing an occasional client can undoubtedly hurt both your bottom line and your ego just as much as losing an anchor client. While risking sounding cliche, there are some silver linings to losing a client. It doesn’t have to be all doom and gloom. It’s easy enough to become complacent in the work you do, even more so in the case of an anchor client. Although freelancing work is ever-changing, it can often consist of the same type of work, over and over again. With the repetitive nature of your work and without realizing it, you may be well on your way to burnout. When you lose a contract, it may be the perfect time to explore another niche or type of project. For example, if your now ex-client required a series of blog posts, perhaps now would be an ideal time to try your hand copywriting instead. By viewing the client loss as a way to explore new possibilities, you may find yourself with more satisfying opportunities ahead. Freelancing is first and foremost a hustle. You’re going to get what you put into it. Using the loss of a client as a motivating force can help you not only replace that income but possibly double it by gaining another, more lucrative client. Sure, you’re probably feeling a bit blue after being dumped by a client. One of the best ways to counteract that “icky” feeling is to get out of your comfort zone. While you’re trying out new types of work or hustling hard for new clients, be sure to go for gigs you wouldn’t naturally gravitate towards. After all, what do you have to lose by swinging for the fences? The results may just surprise you. Above all else, freelancing is a job. It’s a bit hard to pay the bills sans job these days. While you fervently pitch for new clients, you may be a bit concerned about your earnings during the in-between time. No worries, you have options. Content mills, which usually get a bad rep, can be a useful source of income in a pinch. For the most part, assignments are distributed in bulk with quick turnaround times. This means it’s possible to get a good deal of projects in a short amount of time. Having a large number of projects in a content mill situation is ideal, as the pay is typically lower than what you’re probably used to. Aided by the fact that many of these types of companies pay out on a weekly basis (if not more frequently) can be a big help in making some quick cash to help bridge the gap after a client loss. Being in-between clients may an opportune time to take on a job you previously would have passed on. If your goal is to help pay for your expenses while you pitch for regular clients, you might want to consider filling up your schedule temporarily with “not-your-normal” type of clients. This may mean taking a lower-than-average-rate or writing about a topic that doesn’t excite you. Remember to take this bit of advice with a grain of salt. You don’t want to backslide on your rates permanently or be stuck with a gig you hate. It is, however, okay to take filler jobs to keep your lights on. Any freelancer will tell you, sometimes you have to get creative. If you’re concerned about your finances, consider looking for a part-time side hustle. Retail chains, bookstores, and coffee shops are all flexible options that can help get you back on your feet while you pitch for new clients. Note: Contena makes finding new clients a breeze. Sort by niche, type of contract, or even pay quality. Old client who? The good thing about losing a client is that you’re not alone. It happens to the best of us, and we’ve got advice to give. This may seem like a no-brainer, but it’s often overlooked. It’s okay to feel knocked down. You just need to remember to get back up. Whether it was one of your first gigs or a favorite client, losing a job can be crushing. The only thing to do is to acknowledge your feelings and get yourself back on the horse. An essential part of being a freelancer is self-care. It may be your first instinct to beat up on yourself, but please, please resist that urge. Be kind to yourself, feel your feelings, and try to move on. You won’t be doing yourself any favors nursing a bruised ego for too long. After a contract ends, do a little self-discovery. What worked about this contract? What didn’t? Was there something about the type of work you particularly liked or disliked? Losing a client can also be a valuable learning experience if you react the right way. Getting feedback is another way to make the most out of a bad situation. When a client gives honest feedback, you can use it to hone your skills as well as better your business. This, of course, means you have to be tough enough to handle constructive criticism. Client feedback is an external version of inventory-taking and can help refine your craft by leaps and bounds. Another silver lining of a client loss is the possibility of boosting your business. Keep in mind; this will only be an option if your contract ended on good terms. If a client left because they were dissatisfied with your work, this may not be the best route for you to take. However, if you lost the client due to no fault of your own such as a project ending or budget constraints, why not capitalize on it? Word of mouth can be a handy form of free advertising! Testimonials are an exceptional way to advertise your services with solid, proof-positive results. Most satisfied clients would be more than happy to offer some kind words your way. If you’ve had a good working relationship with your former client, you can also ask them to refer you to friends and coworkers or to keep you in mind for further projects. If you’ve lost a client and find yourself worrying about your finances, try to stay calm. Use one of the above income fillers to temporarily bridge the gap and immediately start a plan for the future. Even if you haven’t yet lost a client, start making a contingency plan now. Because a freelancers salary ebbs and flows, it’s always best practice to have some sort of nest egg in place for emergencies and tighter times. The more prepared you are for slower periods, the more you can relax and focus on all the other positives that unexpectedly come out of this unfortunate situation. In short, if you’ve just lost a client, don’t panic. Freelancers are uniquely in charge of their workload. It can be both a blessing and a curse. Use the positives that arise to shift your perspective. Sure, be sad for a little. Then get back on Contena and find new and amazing clients.